Her husband knew how she always dreamed of a college education and encouraged her to pursue her dreams. Vera earned her Licensed Vocational Nurse Certification from Johnson County Hospital in 1967 and later an Associate Degree in Nursing from Tarrant County Junior College in 1974. She was a member of Phi Theta Kappa Honor Society. She was employed by Fort Worth State School from 1976 until 1993 for a total of almost 18 years. She took classes from East Texas State University while working full time and earned a Bachelor of Science in Health Care Administration in 1984 with a GPA of 3.28. She was a grandmother of four when she fulfilled her dream. Vera served on Burleson City Council 1980-1984 and 1987-1992. She was the second woman elected to the council and was the only woman for seven of the nine years she served. So far, she is the only woman mayor in the history of Burleson. The City Council honored her by naming “Mayor Vera Calvin Plaza” in August 2013. It was officially dedicated in April 2014 near City Hall and Museum/Visitor’s Center. Other services included Johnson County Child Protective Board for two terms including being Chairman and Legislative Liaison. She served on NTCOG on Health & Human Services and Drug Abuse Board. She was named Johnson County Precinct 2 Justice of Peace 1995-1996. 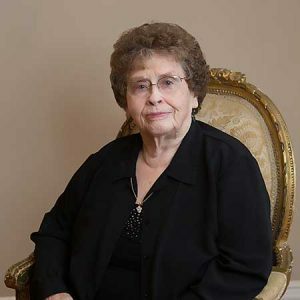 She is a life-time member of Burleson Chamber of Commerce, was Director for two terms, and was Citizen of the Year in 1993. She is a member of the First United Methodist Church, Burleson Historic Society, Eumathian Club and Athena Society of Burleson. She has received many awards and honors from other organizations. She has been a widow since 1993 after being married over 46 years. She has one living daughter, Carol, who lives in Joshua. Her youngest daughter, Lynn Clopton, passed away in 2002. She has three grandsons, one granddaughter, one great-grandson, and five great-granddaughters. She moved to Fort Worth in August 2014 but still does most of her business in Burleson. She is now President of the All-Resident Council at Brookdale Broadway Cityview Senior Living Community.